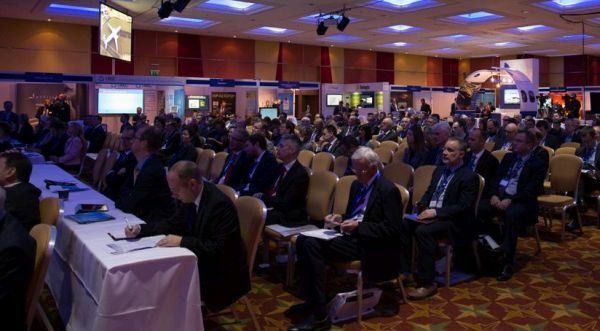 Runway capacity in the southeast was the overriding theme at this year’s conference. What will Sir Howard Davies recommend? The entire thrust of the AOA conference was in speculation of the Davies Commission, making the man himself the star attraction when he showed up on Day 2. 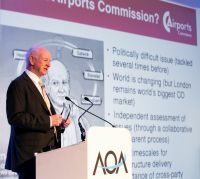 Sir Howard, who arrived the day the Airports Commission published its consultation (not a coincidence BTN thinks) on shortlisted options for a new runway, said the reason he was speaking at the AOA was “to get delegates to read it”. Sir Howard is relaxed with the air industry and not a detached civil servant. And even on a very busy day not in a rush to get away. Unlike the Minister! Moderator, the BBC’s John Humphrys (moderately) harassed each speaker in turn on day 1 on whether they would adopt Sir Howard’s recommendations when they are finally published. Each speaker parried admirably – none would be drawn. Even Sir Howard himself queried the likelihood of any airport director acquiescing in advance to his recommendations. This wait and see policy was propounded by Stewart Wingate Chief Executive of Gatwick Airport and John Holland-Kaye, newly appointed to the same position at Heathrow. It seemed that all leading figures were trying to dodge the bullet. This led to a debate as to whether the Davies Commission will be worth the wait anyway. He acknowledged that Davies’ work was “world class” conceding that the runway issue “has been analysed better than anyone else in a very structured way”. Despite this he said that “Politicians won’t be brave enough to tackle the issue,” and added “I don’t trust airports” saying “they can’t say they will increase cost and charges, reduce revenues and still be profitable”. Sickened by the about turn by the Conservatives on the third runway and unconvinced by current politics, Walsh said BA was going ahead with its own plans anyway, hoovering up slots available on short haul routes for long haul ones particularly at Gatwick as well as growing the business outside UK place. “If we can’t grow at one airport, we will at another.” He confirmed plans to expand through parent airline group IAG beyond Spain and the UK. Jock Lowe, proponent of the Heathrow Hub, which envisages the realisation of an underutilised existing runway at Heathrow to solve the runway capacity issue, largely sided with Holland-Kaye as Heathrow and only Heathrow to be the answer to solving capacity. 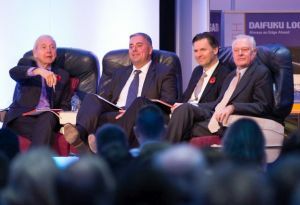 Wingate, who had argued the case for Gatwick to play the role in a dual hub system, was therefore outnumbered on the panel session entitled “The Airports Commission Shortlist” involving all three representatives and said so. Aviation minister Robert Goodwill commented, "We don’t want it (the Davies Commission) to be an election issue. We are not saying, we will go with the recommendations. The decision needs to be based on evidence.” That was on the opening day. Gordon Marsden, last week appointed by the Labour Party as his Shadow, more or less said the same on Day 2. Goodwill did acknowledge that the APD is a “tax on aviation” but when challenged, distanced himself from the future of APD calling it “a matter for the treasury”. Newcastle Airport sounded nervous about the APD issue and Scotland. If Scotland detaches from APD then Newcastle stands to lose out. Passengers will likely travel north of the border to access non-APD and therefore cheaper fares in Scotland. Birmingham Airport said it was pleased with a short series of summer flights from China. Devolution therefore does represent a very real and economic impact on the country’s airports. Despite this, the wider issues of devolution on airports in the UK was not fully addressed. Apart from the Davies question, and the role of APD, the other substantial issue was sustainability in an environmental context. The introduction of more fuel-efficient quieter aircraft is driving change. The B787 and the A350 in particular are “transformational” according to Goodwill – able to offer airports higher frequency and longer-haul routes while keeping the noise down. They are ideal for regional airports, commented Goodwill. Despite this, the UK is losing valuable airfields. Goodwill called the closure of Manston and Blackpool, “sad”. Pollution is an ongoing issue but airlines and airports gave examples of practical initiatives to tackle it. 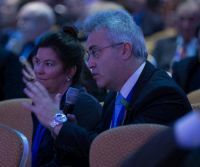 Pressure group Aviation Environment Federation’s deputy director Cait Hewitt presented a bleak outlook on pollution and sustainability at UK airports, but accepted that limited progress was being made. Goodwill said London Heathrow is the only “pollution problem” due to its noxious air quality. The global threat from overseas was also prevalent. 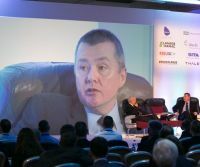 Paul Griffiths, Chief Executive, Dubai Airports, referred to the massive spend and runway capacity in Dubai, which is now head to head with Heathrow in the airports league table. Not only does Dubai boast 260 destinations and 130 airlines, far outstripping Heathrow, but it is engaged in a US$32bn ancillary airport expansion project (Al Maktoum International) with no physical land constraints creating a 200m passenger capacity. John Holland-Kaye accepted that Heathrow had now lost out globally and was lagging behind its counterparts of Charles de Gaulle and Frankfurt. 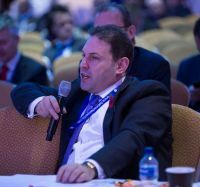 He lamented the loss of Chinese business due to the deterioration of Heathrow as a global hub and its lack of runway capacity. Walsh noted that Heathrow, once a world airport power, is now considered in purely a European context, and that over time, combined with inertia over runway capacity, could fall back to an even more mundane provincial role within Europe itself.